GRV, referred to as Gravium. is a community-driven crypto currency that ensures decentralization by empowering individuals, designed for daily business and personal transactions. GRV takes X16r algorithm, supporting GPU card (Nvidia card and AMD card) mining, and both Windows and Linux system. Note: The countries’ regulatory policies on exchanges are not uniform, and the related risks are borne by the miners. After completing the configuration, click on the settings button on the bottom right of the page. Choose the relevant mining software, and ensure the mining software is suitable for the GPU card type. 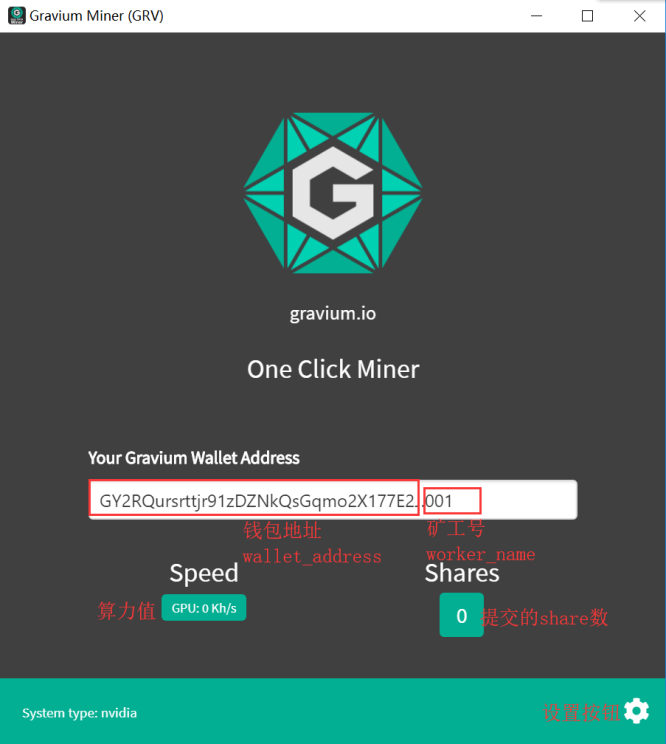 Then choose “At Gravium Miner Start” in “Autostart mining” option. After completing all these configurations, click on the cancel button and start mining. If for exit the mining software, please exit the mining software ““One Click Miner” first, and then exit the operating page. Checking the revenue: Input the wallet address in the searching box on the top right of F2Pool website, or check it in our APP, click on the quick-view, and input your wallet address, for the mining status, the alarm settings and more available functions.